The PGA Tour stays in California and travels to Riviera Country Club, which is located in Pacific Palisades, California and was designed by George C. Thomas, Jr. It has been the primary host for the Northern Trust Open (originally the Los Angeles Open) and is a par 71 measuring 7,349 yards. Riviera has hosted three major championships: the U.S. Open in 1948, and the PGA Championship in 1983 and 1995. It also hosted the U.S. Senior Open in 1998. The first of the par 5’s is the opening hole and offers a very makeable birdie by most of the field. The other two are on the back 9 and will favour the bigger hitters with the 11th measuring just over 560 yards and the 17th measuring a monstrous 590. Players that can shape the ball will have an advantage around this course as there is quite a few doglegs and tricky par 4’s. The par 4 10th is reachable by the bigger hitters in the field measuring around 315 yards. Depending on the hole location, it can be a tricky hole to score on. This course has a couple of signature holes, for example, there is a bunker in the middle of sixth green, which is a par 3 and could force some players to chip from one part of the green to the other. The fairways are quite forgiving and there are no water hazards to contend with. The fairways are Kikuyu, which is common in South Africa and the greens are poa annua and are quite small so be on the lookout for guys that have good GIR stats. This course will certainly favour the bombers, who should be able to take advantage of the par 5’s and some of the short par 4’s. The main stats to look at here are driving distance, GIR, strokes gained putting and tee to green and par 4 scoring. I’ve decided to give Jimmy one more chance this week in California. After another solid performance in Pebble finishing T11 on 11 under, Walker looks to be playing some great golf and showed that with a 63 in round three last week. He came close to winning in Torrey Pines a couple of weeks ago when he was leading going into the final round. He ended up finishing his final round on the Monday and shot a final round 77 due to horrendous conditions to finish T4. He has been playing well over the last few weeks finishing T8 at The Hero World Challenge just before Christmas, T10 at The Hyundai Tournament of Champions,T13 at The Sony Open and T4 at The Farmers. Walker has a good record here in Riviera finishing fourth in 2011 and 2012, T16 In 2013 and T20 in 2014. He is averaging just over 300 yards off the tee and ranks 24th in SGTTG, 26th in SGP and eighth in par 5 scoring. With great current form and a good record here Walker could be a huge contender here. Despite missing the cut last week in Pebble, Bubba comes into this week in good form and should feel more at home in Riviera. He has a win and two top 15’s in his last four starts. He won The Hero World Challenge back in December and followed that with a T10 at The Hyundai Tournament of Champions and a T14 at The Phoenix Open. He has played well here in Riviera in the past with a T13 in 2012, a win in 2014 and a T14 last year. Statswise Bubba seems to fit the bill here averaging just under 315 yards off the tee ranking fourth in driving distance and seventh in SGTTG. This course suits players that can shape the ball and hit it long which is right up Bubba’s street. J.B gets another nod from me again this week. He has been playing great golf over the last few weeks and had yet another solid performance last week in Pebble finishing T11 on nine under for the tournament. He also had a good week in Phoenix finishing T6 and had another T6 at The Famers Insurance Open in the weather stricken Torrey pines. He started 2016 off with a decent performance in Kapalua finishing a respectable T24 at The Hyundai Tournament of Champions. He was showing signs of good form back in December with a T8 at The Hero World Challenge and a T12 at The Franklin Templeton Shootout. Holmes has a good record on this course finishing third in 2010, T12 in 2011, T8 in 2012 and T22 last year. He ranks fifth in driving distance, 17th in SGTTG and 35th in par 4 scoring. J.B has a great record here and looks great value here at 28’s. After another superb performance in South Africa last week winning the Tshwane Open, Schwartzel is playing some excellent golf over the last few weeks with two wins and two top 10’s in his last four events. 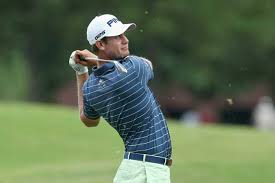 He finished T4 at The DP Tour Championship in Dubai and followed that with a win at The Alfred Dunhill Championship and a T9 at The Nedbank Championship. The South African has played well here in the past finishing T5 here in 2014 and T3 in 2013. The grass on the fairways here is Kikuyu which is the same grass they play on in South Africa giving Charl a bit of an advantage here. Staswise he ranks 25th in driving distance averaging 304 yards off the tee, 14th in GIR and 25th in SGP. With superb current form and a good record here, Charl looks great value here. I have been really impressed with Freddie’s form over the last few weeks with three top 10’s in his last four events. He had a great week at The RSM Classic finishing solo fifth and followed that with a T4 at the weather delayed Farmers Insurance Open in Torrey Pines. The Swede had another solid performance last week in Pebble finishing T4 and scrambled and putted superbly well (which will be a big help this week). He is another player with a good past here finishing third here in 2013 and T13 in 2012. He ranks 33rd in SGP, 10th in scrambling and fourth in par 4 scoring. If Freddie can keep it going this week with the putter he could be right in the mix at a huge price. The PGA Tour stays in California and travels to Riviera Country Club, which is located in Pacific Palisades, California and was designed by George C. Thomas, Jr. It has been the primary host for the Northern Trust Open (originally the Los Angeles Open) and is a par 71 measuring 7,349 yards. Previous winners include Bubba Watson (last year), John Merrick (2013), Bill Haas (2012), Aaron Baddeley (2011), Steve Stricker (2010) and Phil Mickelson (2009,2008). It has three very different par 5’s and a reachable par 4. The par 3’s are tricky and will require good, accurate iron play to hit the greens. This course has a couple of signature holes, for example, there is a bunker in the middle of sixth green, which is a par 3 and could force some players to chip from one part of the green to the other. The fairways are quite forgiving and there are no water hazards to contend with. The greens are poa annua greens and are quite small so be on the lookout for guys that have good GIR stats. This course will certainly favour the bombers, who should be able to take advantage of the par 5’s and some of the short par 4’s. The main stats I will be looking at here will be driving distance, GIR, strokes gained putting and tee to green and par 4 scoring. Bubba has been playing consistently since he won The WGC HSBC Champions back in November and has three top 11’s in his last three starts. He followed that win with a solid performance at The Hero World Challenge finishing T11 on eight under for the tournament. He then had another good week in Kapalua at The Hyundai Tournament of Champions finishing solo 10th on 15 under. Most recently, Watson put in a great performance at The Phoenix Open finishing T2 on 14 under for the week, which included two 65’s. He has played well here at Riviera in the past and won here last year beating fellow bomber Dustin Johnson by two strokes. He also has a further three top 20’s here finishing T13 in 2012, T17 in 2009 and T14 in 2008. Bubba ranks eighth in driving distance, fourth in strokes gained tee to green and second in birdie average. He also ranks first in par 5 scoring, 19th in par 3 scoring and 23rd in par 4 scoring. With a good record here in the past and great current form, Watson has all the looks of having another good week here. 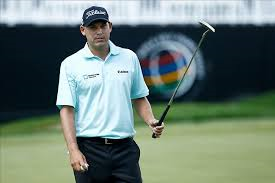 After a win at The Humana Challenge a couple of weeks ago, Bill Haas looks to be back showing some good form. He played superb all week finishing on 22 under, which included a second round 63. He took last week off, but had a good performance at Torrey Pines finishing T19 at The Farmers Insurance Open. He was fairly steady for the first three rounds, but had a poor finish in the fourth round shooting a disappointing 75, which included three bogeys in the last five holes. However, he has played very well here in the past and hasn’t finished outside the top 25 in his last four appearances. He finished T23 last year, T3 in 2013, won in 2012 and T12 in 2011. With such a good record here, great current form at Torrey Pines and a win at the Humana at the end of January, we could see Bill have another good performance here this week. After a losing a playoff to Jason Day and JB Holmes at The Farmers a couple of weeks ago, Harris English comes into this week in great form. English has two top five’s in his last four starts including a T3 at The Sony Open in Hawaii and a P2 in Torrey Pines. In his last 16 competitive rounds, he has shot a 70 or better 12 times and looks to be showing a lot of consistency. He played well here last year finishing T10 shooting 70,69,69,67 to post nine under par in total. English ranks 28th in driving distance, 37th in strokes gained tee to green and 40th in GIR. He also ranks 17th in par 5 scoring, 19th in par 3 scoring, 21st in total putting and fourth in putts from inside 10 feet, which is a good stat for putts on these small greens. After coming so close in Torrey Pines, English could be one to watch here on a course he has played well on in the past. JB has been playing well lately with two top 10’s in his last two starts. He was unfortunate not to win at Torrey Pines, where he lost on the second playoff hole to Jason Day. He was a tad unlucky to over shoot the 17th green on the second playoff hole and finish with a bogey. That being said, he looked very threatening in the final round and played some great approach shots. JB had another good week in Pebble finishing T10 on 15 under par for the tournament, which included a first round 64 and a final round 65. He has a great record here finishing T8 in 2012, T12 in 2011,T3 in 2010, T6 in 2009 and T7 in 2008. This course should suit JB, who is averaging 303 yards off the tee ranking 12th in driving distance. He also ranks 21st in strokes gained tee to green, 19th in birdie average and has good approach stats ranking 12th in approaches from 225-250 and seventh in approaches from 100-125, which will be a big plus on these long par 5’s and short par 4’s. JB has started with a 69 or better in four of his last five events. He shot an opening round 64 last week in Pebble, a 69 in round 1 at Torrey Pines, 68 in round 1 in Phoenix and a 69 in Kapalua at The Hyundai Tournament of Champions. He has also shot a 67 or better in round 1 at this event in four of his last five appearances. He started with a 67 last year, 71 in 2013, 67 in 2012, 67 in 2011 and 68 in 2010. With a great run of first round form over the last few weeks, not to mention his good form at this event, JB is certainly worth a flutter here in the first round.